Raymond Terrace Soccer Club (RTSC) was founded in 1957 and is one of the longest running and biggest sporting clubs in the Port Stephens Shire. With 396 junior registered players in 2017 and over 50 Volunteers, participation is projected to grow in 2018. Over 250 local families are expected to again join RTSC this season and they will be actively involved with our club on a weekly basis from March through to September. RTSC teams participate throughout and host teams from the Newcastle, Port Stephens, Lake Macquarie, Lower and Upper Hunter regions. RTSC aims to encourage a healthy and active lifestyle in a fun and respectful environment for all involved in our sport. We foster participation of our local children to play their chosen team sport and are establishing a pathway for our youth players to transition to senior competition. In 2017 RTSC was awarded with the honour of being named Club of the Year by the Newcastle Football association at their annual awards night for recognition of community support and commitment to grass roots football. The 2017 season culminated with RTSC successfully hosting the Interdistrict Grand Finals on behalf of Newcastle Football with the club having significant success in, fielding six competition teams in the finals, three teams competed in the Grand Finals with the Zone Football League 1 team winning their fourth Major Premiership in a row. This event saw over 4000 attendees visit our home ground, King Park, over one weekend in September 2017. In 2018 RTSC is aiming to purchase new equipment, maintain current equipment, improve club facilities, provide access to training for our coaches and recognise achievement. Our club relies solely on fundraising events and the support of local businesses to operate successfully. 2018sponsorships of the club or individual teams in Mini-Roos (U6-U11), Junior (U12-U18), All Age Men and Women, and Zone Football League 1 teams are currently being sought. The club is currently looking at updating the strips with a new design and the new logo (above). We recognise your business as a significant member of the Raymond Terrace Business Community and would like to offer you an opportunity to be part of our progressive club. Other options available upon request include company logos on the shorts, sleeves or back of the shirt, either for individual teams or as a club sponsor for all teams. Sponsors will also be advertised on our Club Facebook and Website pages. 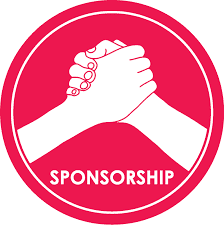 Should you wish to sponsor or simply make a donation to our ever growing Raymond Terrace Soccer Club, please email your interest to raymondterracesc@newcastlefootball.net.au , or call Peter on 0404 478 865to arrange a meeting with our committee.